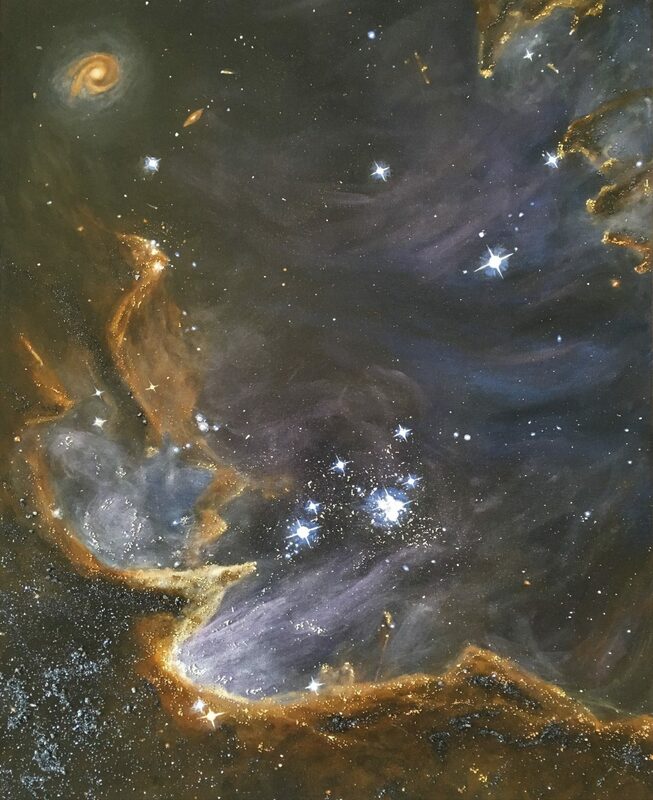 I am in awe every time I paint a new section of our cosmos. There is so much going on out there that most of us don’t get to see …so I put it on canvas. This is 24×30 acrylic with my special combo of metals etc for texture. This artwork is copyright © Patty Heibel. All rights reserved.